Suzanne Kamata first came to Japan on the JET Program in 1988. Since then, she has been teaching English to Japanese students of all ages. She is the author of two novels, including most recently, Gadget Girl: The Art of Being Invisible (2013, GemmaMedia) which was awarded the Grand Prize in the Paris Book Festival Competition, and an International Book Award for Young Adult Fiction. She is also the editor of three anthologies, including The Broken Bridge: Fiction from Expatriates in Literary Japan (1997, Stone Bridge Press). She lives in Tokushima Prefecture. For more information go to http://www.suzannekamata.com. Tracy Slater is an American writer living in Osaka. Her book The Good Shufu: A Wife in Search of a Life Between East and West is forthcoming in 2015 from Penguin Random House’s Putnam and Berkley imprints. Tracy has published essays in The New York Times online, CNNGo, Best Women’s Travel Writing, Boston Magazine, the Boston Globe, and other places. She is also the founder of the award-winning global literary series Four Stories, which runs events in Boston, Osaka, and Tokyo. She earned her PhD in English and American Literature from Brandeis University and is the recipient of the PEN New England 2008 “Friend to Writers” award. Xenia Taiga lives in southern China. Her work can be found in Eastlit, Four Way Review, Pithead Chapel and elsewhere. She’s a contributing editor for Eastlit and is at work on a short story collection and two novels. Nichole L. Reber spent four years as a bumbling expat in mainland China, Hong Kong, India, and Peru. At least she also learned about identifying outside of a career. Find her on Facebook and Twitter. Joel Heng Hartse is a PhD student in the Department of Language and Literacy Education at the University of British Columbia. He has taught academic writing in China and Canada and is the author of the memoir Sects, Love, and Rock & Roll. Richard Harrold spent six years in China working on various aid projects for VSO and Save the Children Fund before beginning a career in international education that has seen him serve as a Teacher, Principal and Curriculum Coordinator. Currently he is a Deputy Principal at ACS Cobham International School in the UK. Sarah Coomber’s essays have previously appeared in Memoir Journal, Cha: An Asian Literary Journal, the South Dakota Review, the Christian Science Monitor, the Japan Times and the Star Tribune of Minneapolis. She earned an MFA in creative writing from Eastern Washington University and a master’s degree in mass communication from the University of Minnesota. 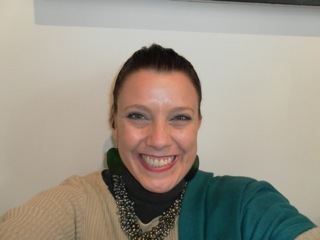 She has worked in public relations, academia, journalism, science writing and as an English teacher in Japan. She currently does advocacy writing for hire and recently finished writing a memoir about two years in rural Japan that helped her overcome a first failed attempt at adulthood. Find her at SarahCoomber.com.